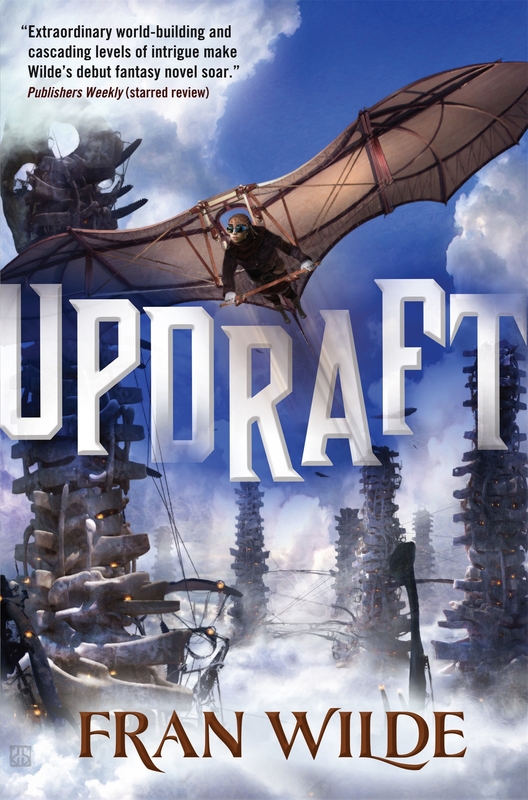 Title Updraft / Fran Wilde. Publication Info. New York : Tor, c2015. Summary "Welcome to a world of wind and bone, songs and silence, betrayal and courage. Kirit Densira cannot wait to pass her wingtest and begin flying as a trader by her mother's side, being in service to her beloved home tower and exploring the skies beyond. When Kirit inadvertently breaks Tower Law, the city's secretive governing body, the Singers, demand that she become one of them instead. In an attempt to save her family from greater censure, Kirit must give up her dreams to throw herself into the dangerous training at the Spire, the tallest, most forbidding tower, deep at the heart of the City. As she grows in knowledge and power, she starts to uncover the depths of Spire secrets. Kirit begins to doubt her world and its unassailable Laws, setting in motion a chain of events that will lead to a haunting choice, and may well change the city forever--if it isn't destroyed outright"-- Provided by publisher.